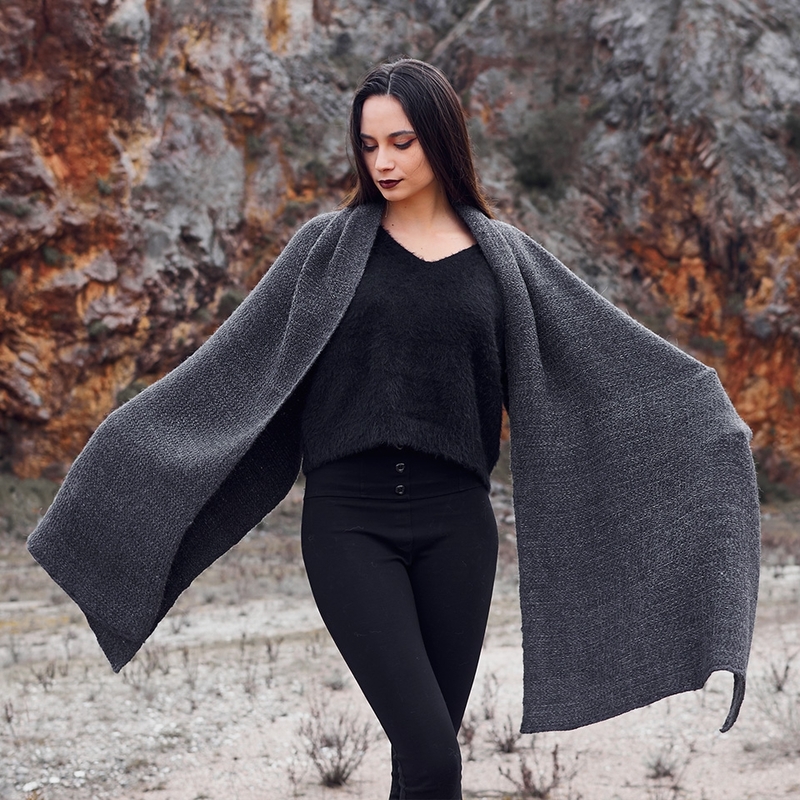 Inspired by the colors of the planet Saturn, these artifacts enhance full tones of alpaca wool used especially in shades of black and gray, still in the natural colors. The yarn is here employed in quality "baby" characterized by an incredibly soft and silky touch. The elaborate textures and finishes carefully detailed give the articles of this collection a timeless and refined elegance.